Intex Double Quick I Hand Pump comes with accordion hose and 3 nozzles, to fit small, medium and large diameter inflation valves. Never waste your energy again! This pump has double the volume, double the action. 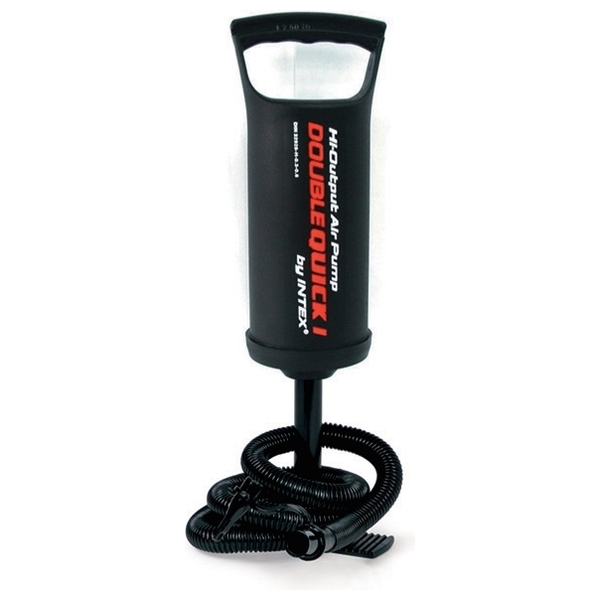 It pumps air on both the up and down strokes so your inflatables will be up in double quick time!